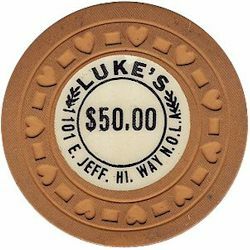 Set of three EJS (Earl Smith Billiards) poker chips for $15 shipped. These chips were shipped to Earl J. Smith at 1196 North High Street, Columbus, OH in 1939. Send me an email if you would like the last set.